How does meteo affect runway usage? This animation shows you which runways are currently in use for both arrivals and departures. What makes an aircraft take off or land on one runway instead of another? Runway selection is a complex process where the safety of air traffic always comes first. Runway 07R/25L will be closed from 1pm to 3pm on Wednesday 24/04/2019. Taxiway Z is available again to air traffic, one day ahead of schedule. In 2019, Brussels Airport Company will be renovating aprons 3N and 9 as well as taxiways INN9, N2 et Z. The works have no impact on the application of the PRS. 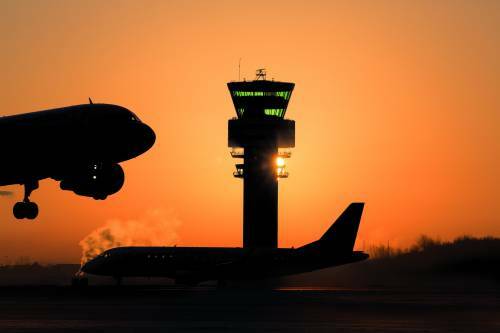 This website provides information on air traffic to and from Brussels Airport. It offers facts and figures on the runways in use at a particular moment, the flight paths of current air traffic and noise measurements on and in the vicinity of the airport. Find out why runways are selected and how weather conditions can have an impact on flight operations.